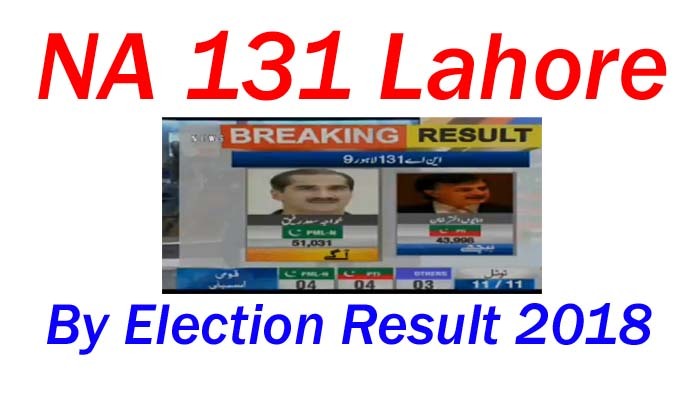 NA 131 Lahore by election result 2018 latest updates are here at webstudy.pk. in this regard new updates are here in below that Khawaja Saad rafique who is ex miniter of PMLN govt has a lead with 43179 votes and PTI candidate Humayun Akhtar Khan is on 2nd position with 38537. Since in general elections of Pakistan PTI chairman Imran khan was the winer of NA 131 lahore but he left this seat and now election commission of Pakistan conduct by election 2018 and In this electin Khawaja saad rafique is going to win and he declare his victory but votes are counting yet.